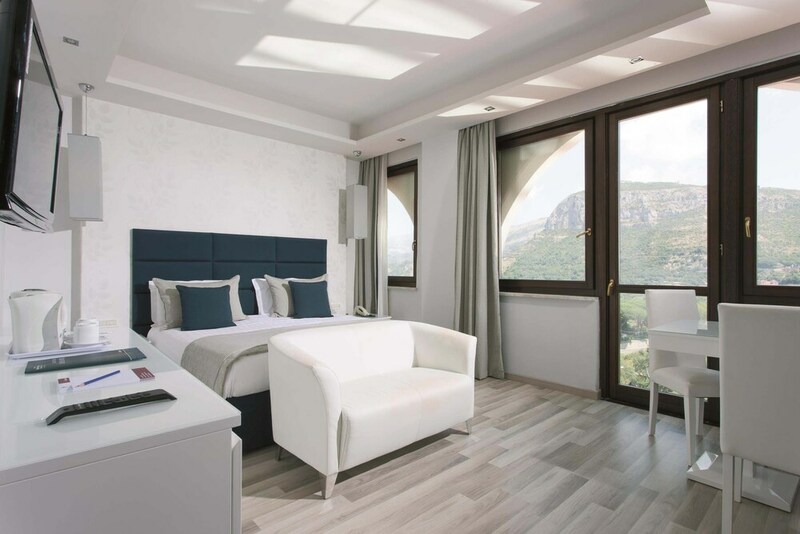 Located in Piano di Sorrento, Grand Hotel Nastro Azzurro & Occhio Marino Resort is in a rural location, within a 15-minute drive of Frantoio Gargiulo and Church of Santa Maria delle Grazie. 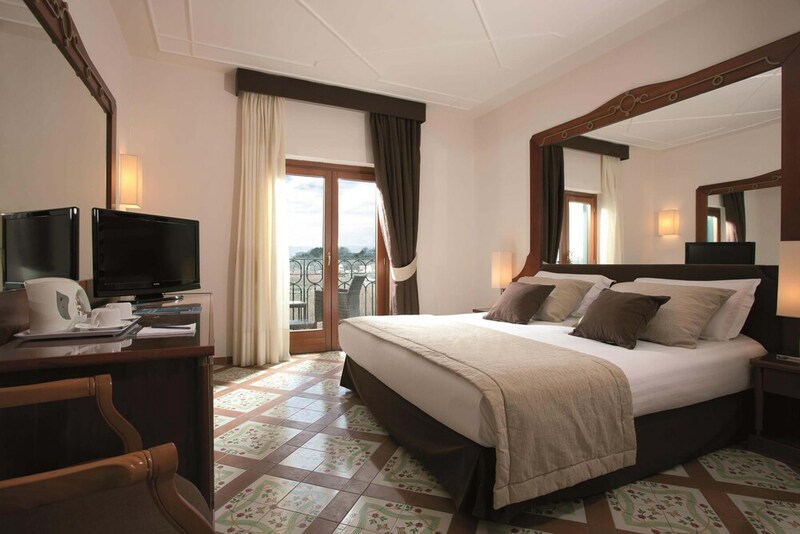 This 4.5-star hotel is 4.9 mi (7.9 km) from Piazza Tasso and 5.7 mi (9.2 km) from Marina Grande Beach. Make yourself at home in one of the 120 guestrooms featuring minibars. Complimentary wireless Internet access is available to keep you connected. Bathrooms with showers are provided. Conveniences include phones and desks, and housekeeping is provided daily. Relax at the full-service spa, where you can enjoy massages. You're sure to appreciate the recreational amenities, which include 3 spa tubs, an outdoor tennis court, and a fitness center. Additional features at this hotel include complimentary wireless Internet access, gift shops/newsstands, and a hair salon. Guests can catch a ride to nearby destinations on the complimentary area shuttle. Satisfy your appetite for lunch or dinner at the hotel's restaurant, or stay in and take advantage of the room service (during limited hours). Wrap up your day with a drink at the bar/lounge. A complimentary buffet breakfast is served daily from 7:30 AM to 10:30 AM.